Rock is both strong and stable and has been used as a building material since history can remember. Over mountains and oceans lies an abundance of locations where rock dominates. These striking locations are not only available to visit but also are also visually inspiring, so why not immerse yourself with one of Nature’s most long-lasting and fascinating materials? 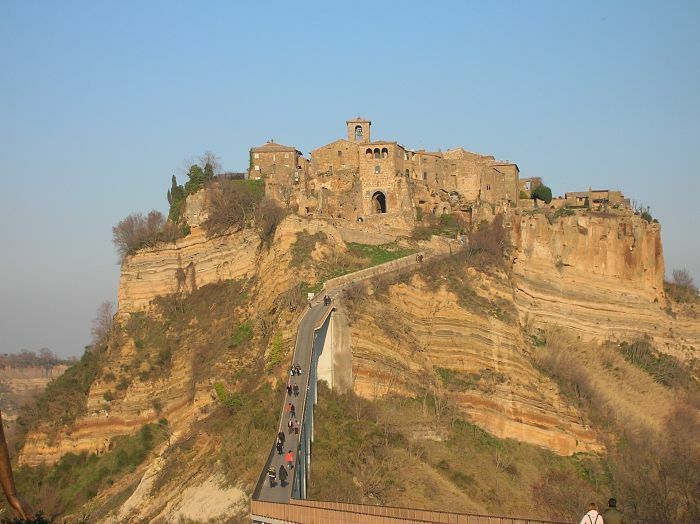 Civita di Bagnoregio is a fascinating town in Province of Viterbo in central Italy. Not only is it one of the most beautiful and ancient towns in Italy, but is also slowly disappearing. The town is located on a tufa rock hill and can be reached only by the pedestrian bridge. The tufa hill is slowly being eroded at the base by the continuous action of the two streams in the valleys below as well as by the effect of rain and wind. For this reason it has been called “The Dying City” by Bonaventura Tecchi, who was born there. 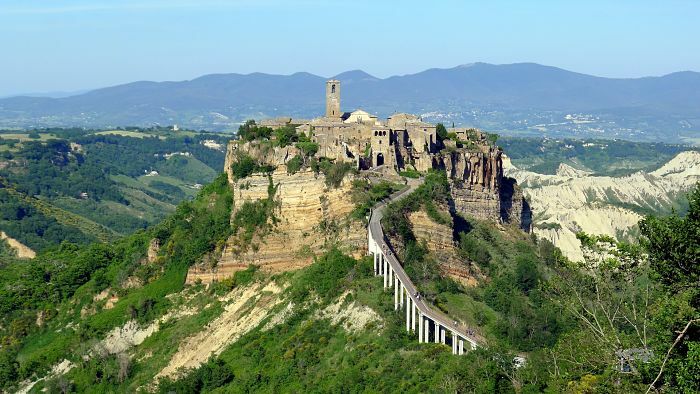 Surrounded by white clay canyons, Civita di Bagnoregio is a truly unique and charming place for its few remaining inhabitants. Let’s hope you can visit this beauty before it’s too late! A stunning place that seems to come out from a fairy tale. 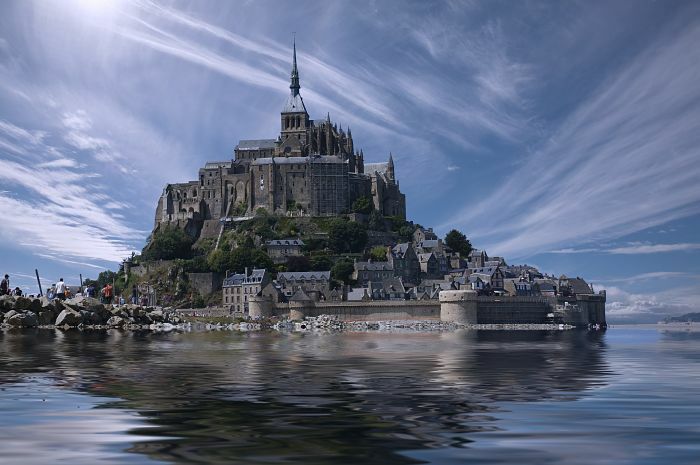 Mont Saint Michel is an island commune in Normandy, France. 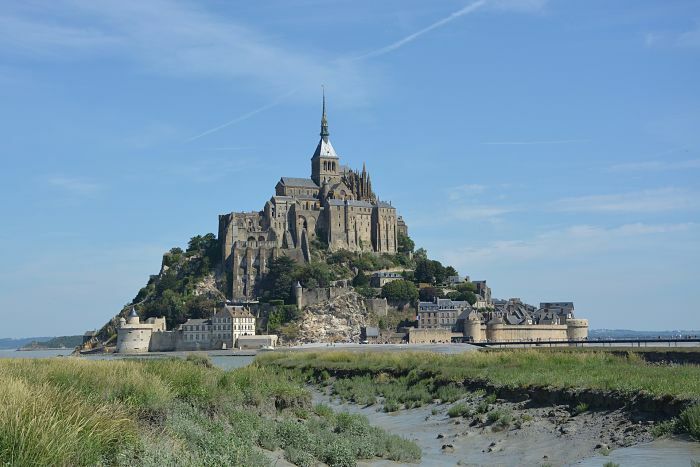 This remarkable medieval walled city, crowned by its great Gothic abbey, is built on a small granite outcrop standing all by itself in the flats of the estuary of the river Couesnon, in an area now known as Mont Saint Michel bay. Le Mont Saint Michel is not just a church on a rock; it is a whole mediaeval city, one of the few places in France to have preserved intact its medieval walls and defences. The city, though small, has to this day inhabitants – not many full time inhabitants – and a mayor, and in addition to its religious monuments, has old houses, narrow streets, hotels, restaurants and shops. But the most beautiful thing are probably the tides. The Baie de Mont Saint Michel is one of the most steeply tidal points in Europe, with a tidal variation of almost 50 ft or 15 meters. The highest tides (spring tides) occur in the day or two following a new moon and a full moon, and most particularly at the spring and autumn equinoxes. On these occasions, the sea can completely surround the mount, except for the in-submersible causeway. During periods of neap tides (when the tidal variation is least) the Mount is not surrounded by water at all, even at high tide. A staircase worthy for a giant. 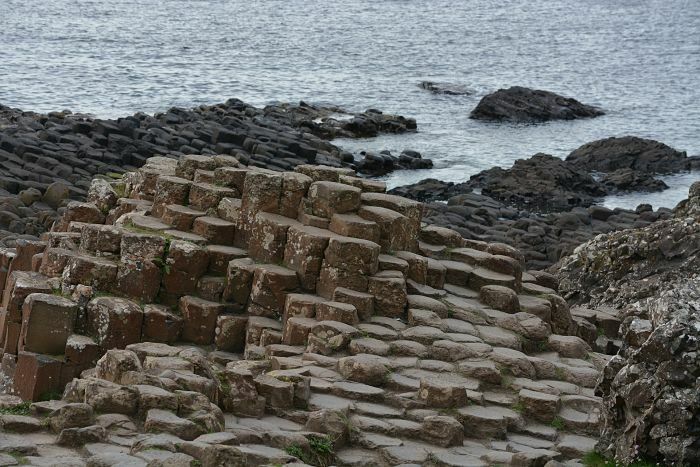 According to legend, the columns are the remains of a causeway built by a giant. 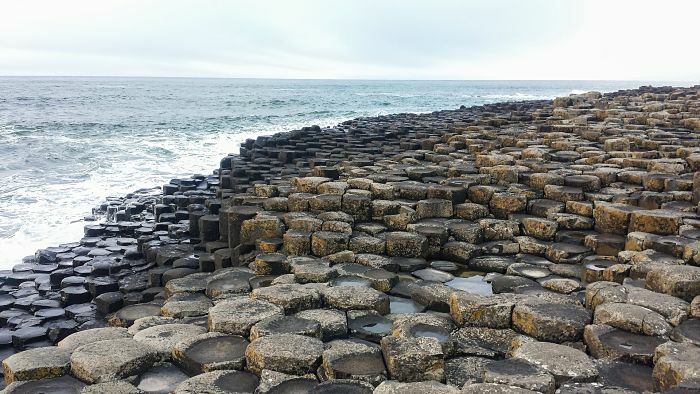 Giant’s Causeways is located in Northern Ireland and is made of 40.000 interlocking basalt columns, the result of an ancient volcanic eruption. It was declared a World Heritage Site by UNESCO in 1986, and a National Nature Reserve in 1987 by the Department of the Environment for Northern Ireland. The tops of the columns form stepping stones that lead from the cliff foot and disappear under the sea. Most of the columns are hexagonal, although there are also some with four, five, seven or eight sides. 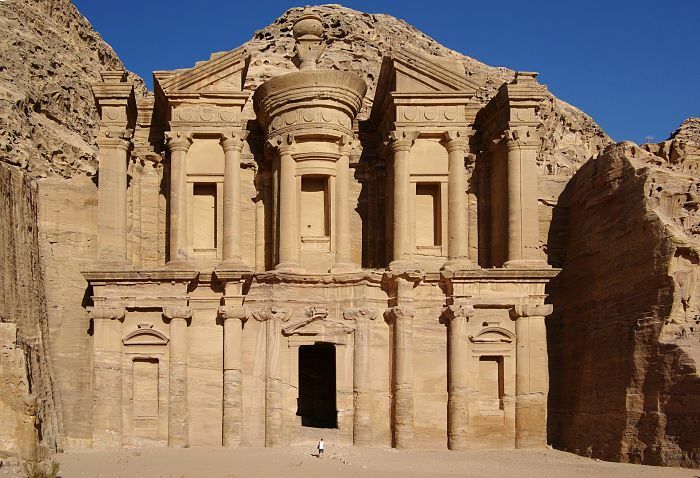 Want to visit a ancient city where houses and churches where carved out from rock? Then Matera is your next destination! It is known for being a film location with films such as Mel Gibson’s The Passion of the Christ (2004), making use of its distinctive feel which is reminiscent of Biblical times. 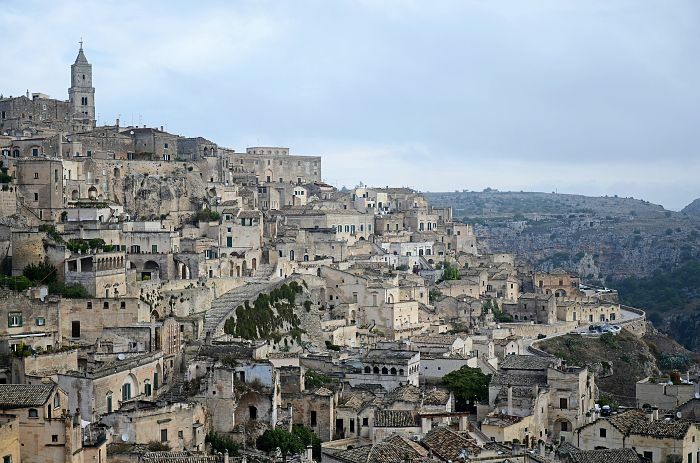 Thought to be one of the world’s oldest towns dating back as far as the Palaeolithic times, Matera is now a popular tourist spot boasting hundreds of ancient caves, rock churches, delicious local cuisine and luxurious boutique hotels. 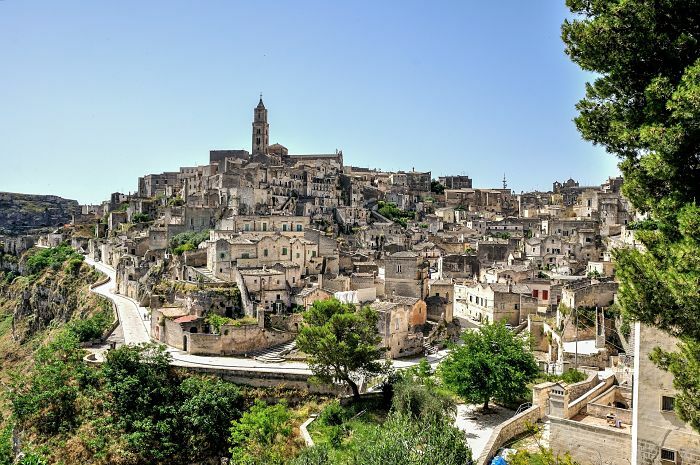 The most famous part of Matera is the Sassi district, now designated UNESCO World Heritage Site and the 2019 European Capital of Culture . Here you can see hundreds of troglodyte dwellings and churches dug out of the rock. Explore. T he cave dwellings were lived in until the 1950’s and are the most extensive example of their kind in the Mediterranean. Over the past 10 years the Sassi has undergone extensive re-development and now hosts some incredible and luxurious cave hotels, private homes and restaurants, lovingly restored to enhance their original features. Petra, capital of the Nabataean Arabs, is one of the most famous archaeological sites in the world, it is Located 240 km south of the capital Amman and 120 km north of the red sea town of Aqapa. 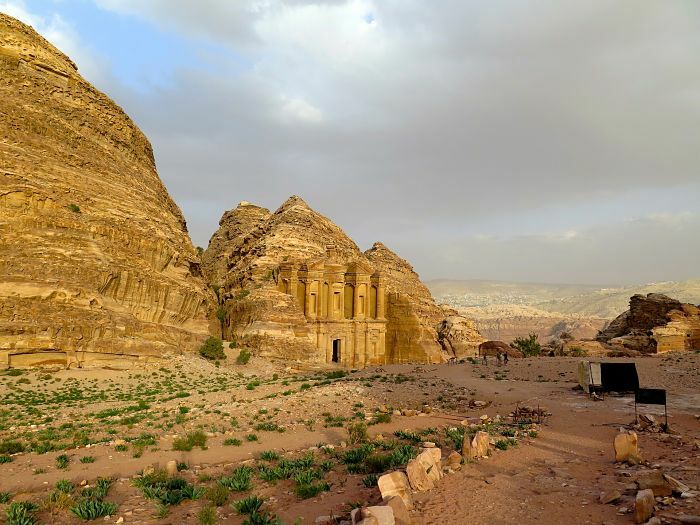 It is not known precisely when Petra was built, but the city began to prosper as the capital of the Nabataean Empire from the 1st century BC, which grew rich through trade in frankincense, myrrh, and spices. Grotta Palazzese, Polignano a Mare, Italy. 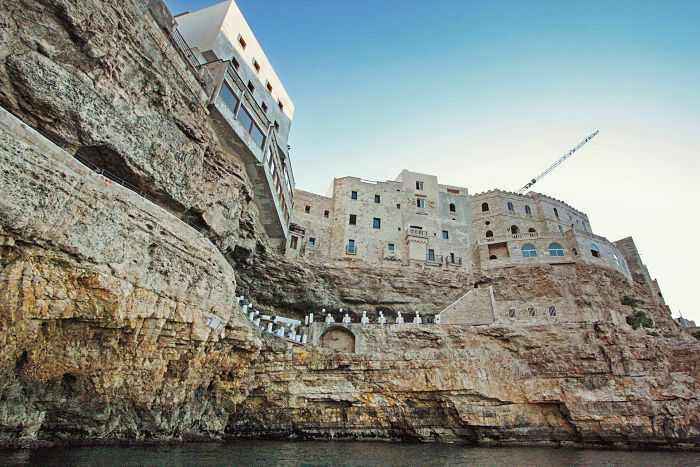 Grotta Palazzese is an hotel and restaurant in Polignano a Mare, in Apulia, Italy. The particularity of this restaurant is that it is inside a cave carved out of magnificent limestone rocks, with a view over the blue-green Adriatic. Amazing food in an idlic rocky location – What else could you possibly need on holiday? Incas didn’t have neither the wheel nor horses. How did they manage to build an entire city at this height? It is still not so clear, though theories have been made. 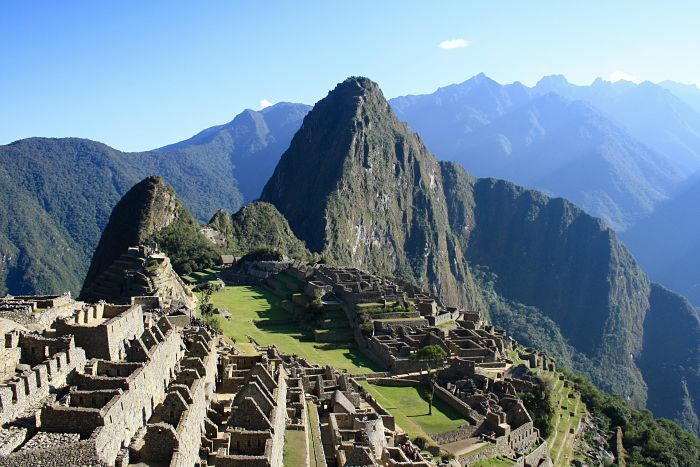 Probably it is also for this reason that Machu Picchu is one of the most mysterious and intriguing places in the world. Standing 2,430 metres above sea-level, Machu Picchu is located in the middle of a tropical mountain forest, an extraordinarily beautiful setting. 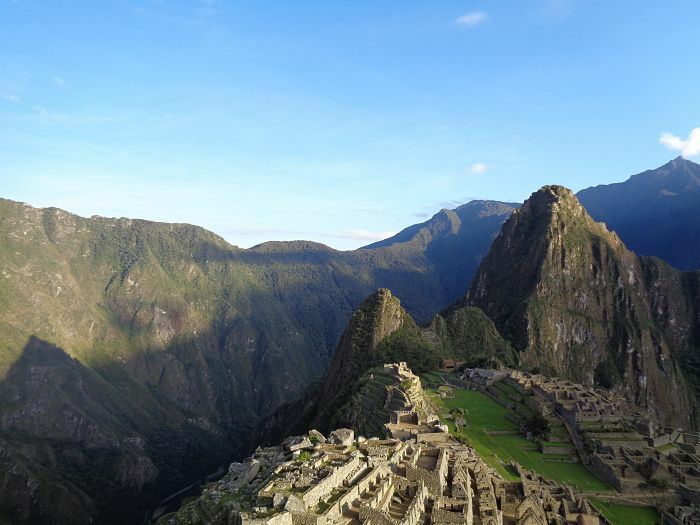 It was probably the most amazing urban creation of the Inca Empire at its height; its giant walls, terraces and ramps seem as if they have been cut naturally in the continuous rock escarpments. The natural setting, on the eastern slopes of the Andes, encompasses the upper Amazon basin with its rich diversity of flora and fauna. 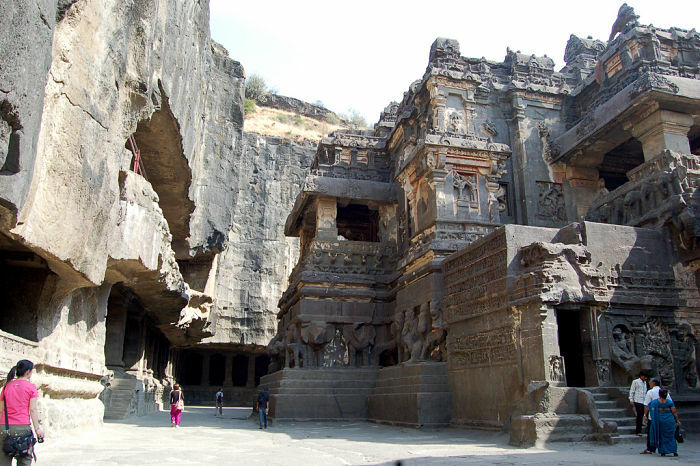 Ellora Caves is an ancient and mystical place in India. 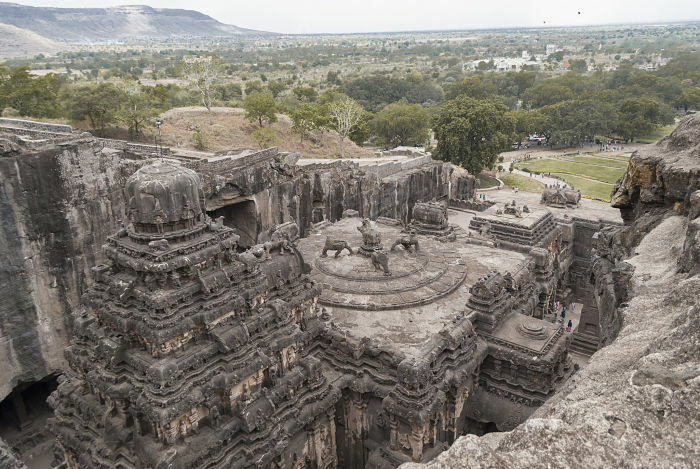 34 monasteries and temples, extending over more than 2 km, were dug side by side in the wall of a high basalt cliff, not far from Aurangabad, in Maharashtra. Ellora, with its uninterrupted sequence of monuments dating from A.D. 600 to 1000, brings the civilization of ancient India to life. Not only is the Ellora complex a unique artistic creation and a technological exploit but, with its sanctuaries devoted to Buddhism, Hinduism and Jainism, it illustrates the spirit of tolerance that was characteristic of ancient India. 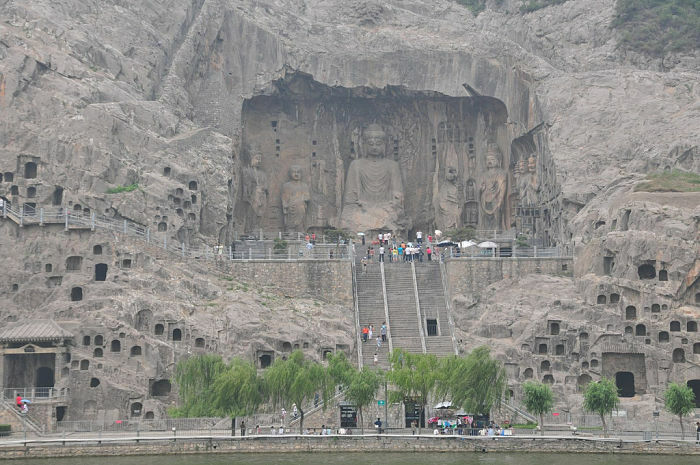 The Longmen Grottoes, located on bothsides of the Yi River to the south of the ancient capital of Luoyang, Henan province, comprise more than 2,300 caves and niches carved into the steep limestone cliffs over a 1km long stretch. These contain almost 110,000 Buddhist stone statues, more than 60 stupas and 2,800 inscriptions carved on steles. Luoyang was the capital during the late Northern Wei Dynasty and early Tang Dynasty, and the most intensive period of carving dates from the end of the 5th century to the mid-8th century. 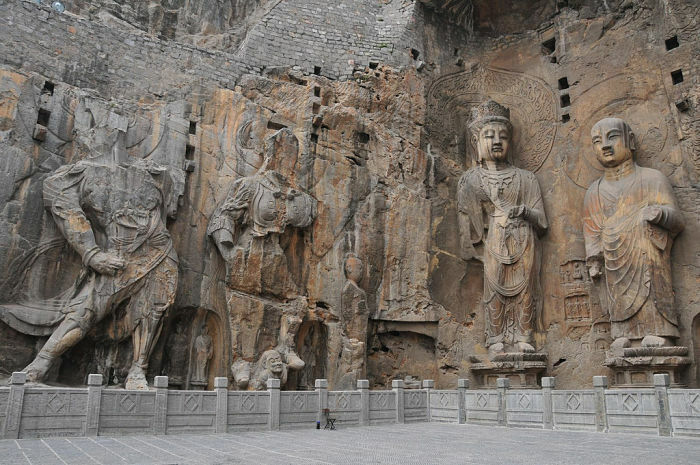 The grottoes and niches of Longmen contain the largest and most impressive collection of Chinese art of the late Northern Wei and Tang Dynasties (316-907). These works represent the high point of Chinese stone carving. Despite their somewhat decaying appearance, these locations are very much tourist destinations! If you fancy viewing something a little more desolate then check out our article Beautiful Decay.